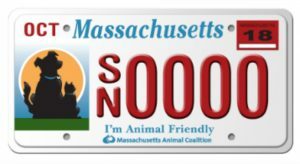 The Massachusetts Animal Coalition (MAC) is pleased to announce 25 spay/neuter programs will receive 2018 “I’m Animal Friendly” license plate grants. 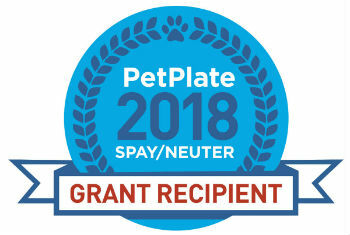 This year, MAC, a non-profit organization leading efforts to care for and protect homeless animals across the state, was able to distribute a total of $185,0000 in grants to support spay/neuter programs for shelter animals, community and feral cats, and animals owned by Massachusetts residents in financial need. What Is The “I’m Animal Friendly” License Plate Program? MAC launched the “I’m Animal Friendly” license plate program in 2003 to raise money for spay/neuter efforts at shelters, rescues, and municipal animal control agencies. Past grant recipients have also included coalitions of animal welfare groups targeting specific communities or geographic areas with very limited access to affordable spay/neuter surgery. 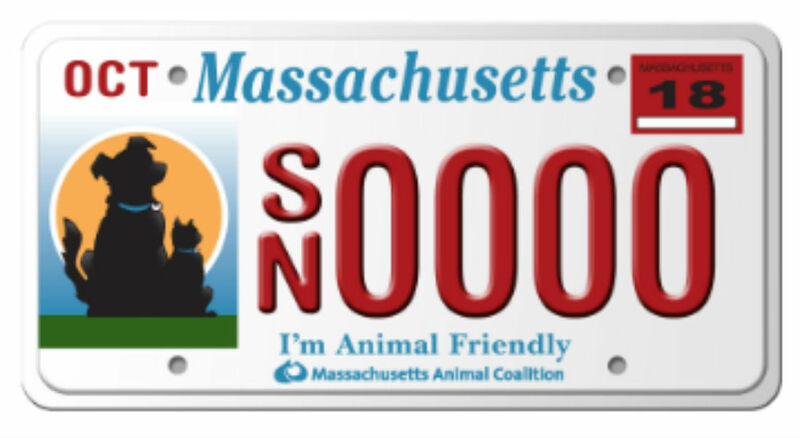 Thanks to individuals who purchase and renew the Massachusetts “I’m Animal Friendly” license plate, MAC is able to award grants on an annual basis. Thousands of cats, dogs, and rabbits receive spay and neuter services every year through funds provided by the program. MAC’s founder and president Anne Lindsay notes that this year once again, the funding requests MAC received for help were far greater than what the organization can currently provide from the funds raised by the “I’m Animal Friendly” license plate. She encourages every animal lover to order the plate from the Massachusetts Registry of Motor Vehicles. “The more people who purchase and renew the ‘I’m Animal Friendly’ plate, the bigger the difference we can make for local animals,” says Lindsay. READY TO GET THE PLATE? Visit petplate.org to order the “I’m Animal Friendly” plate or sign up for a reminder to purchase when it’s time to renew your registration.